Join Temple City in celebrating the completion of the Rosemead Boulevard Safety Enhancements and Beautification Project this Saturday, May 10, at the Grand Opening Festival. The community event will take place on the southbound lanes of Rosemead Boulevard between Las Tunas Drive and Broadway from 9 a.m. to 1 p.m. Activities include a scavenger hunt, public art walking tours, raffle prizes, interactive exhibits and more. It’s also where Metro will kick off Bike Week L.A. with the Old Roots, New Routes Temple City Bike Ride led by C.I.C.L.E. and Eastside Bike Club. The ride leaves at 11 a.m. and will head down L.A. County’s newest cycle tracks. The Rosemead Boulevard Safety Enhancements and Beautification Project was funded $2.25 million through Metro’s 2011 Call for Projects. For the full press release from Temple City, keep reading after the jump. As construction on Temple City’s Rosemead Boulevard approaches completion four months ahead of schedule, the public is invited to celebrate at the Grand Opening (GO) Festival on Saturday, May 10 from 9 a.m.-1 p.m. The event takes place on the southbound lanes of Rosemead Boulevard between Las Tunas Drive and Broadway. Festivities begin at 9 a.m. with a formal ribbon-cutting ceremony, followed by a community festival from 10 a.m.-1 p.m. Planned activities include a scavenger hunt, public art walking tours, raffle prizes, kid-friendly crafts and games, and interactive exhibits by various transportation agencies and groups including Metro, Metro ExpressLanes, local bicycle shops, Bike SGV, CHP and L.A.S.D. traffic patrol. Metro will also be kicking off Bike Week L.A. with a guided “Old Roots, New Routes” bicycle tour led by Cyclists Inciting Change thru Live Exchange (C.I.C.L.E.) and the Eastside Bike Club. The ride features a pit stop at Temple City Park for participants to enjoy some art and local history, as well as a brief presentation by The Homestead Museum. Construction on the Rosemead Boulevard Safety Enhancements and Beautification Project began in late-January 2013 and is slated for completion by the end of April, pending some remaining artistic features that will be fully installed by the end of this year. With a $20.7 million budget, the project was made possible by various federal, state and local sources—including grants from Caltrans for bike lanes, CalRecycle for recycled asphalt concrete pavement, and $2.25 million from Los Angeles Metropolitan Transportation Authority’s (Metro) 2011 Call for Projects. 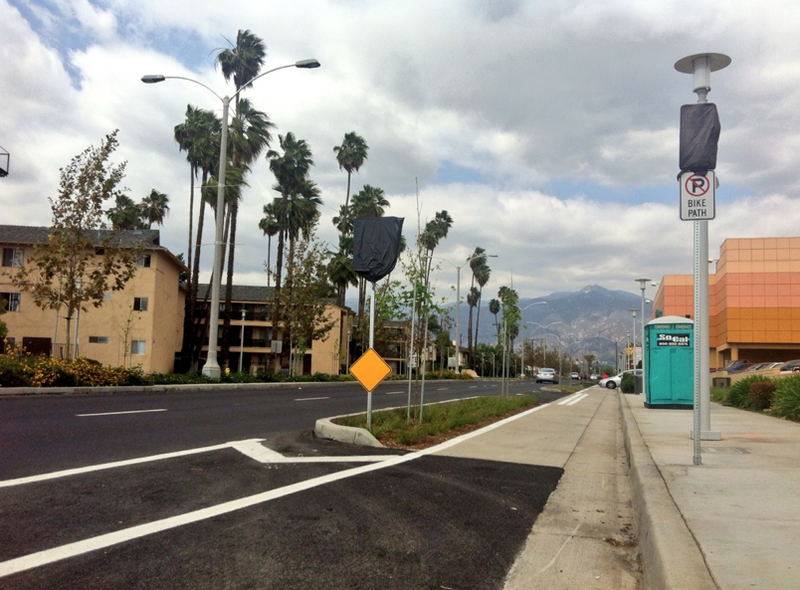 Residents are encouraged to use Rosemead Boulevard’s new facilities to bike, walk or take transit to the event. There will be complimentary bike valet. Those arriving by bike, foot or bus receive bonus tickets for raffle prizes. For more information or to sign up for activities, visit the event page or call City Hall at (626) 285-2171. For more information on Metro Bike Week L.A. activities across the County, visit metro.net/bikeweek.